Firstly can I just say how immense this week has been so far, in terms of the community, in terms of the pretty….in terms of well….just about everything really. And to carry on the “immense” theme (I use that word way too much right?) 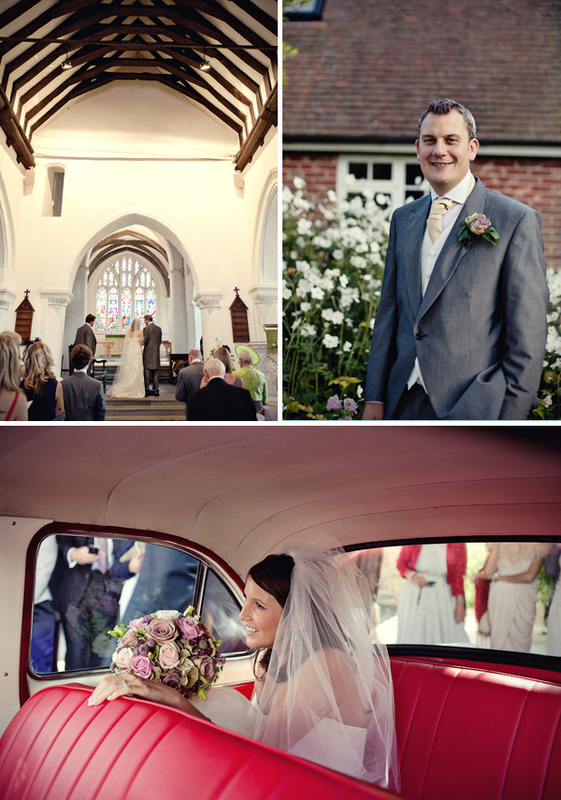 here is Lucy and Nick’s Surrey W-day captured by Marianne Taylor. There are some seriously stylish pink suede shoes, an abundance of feminine blooms, lots of lovely lace and a cake that really does look too good to eat. 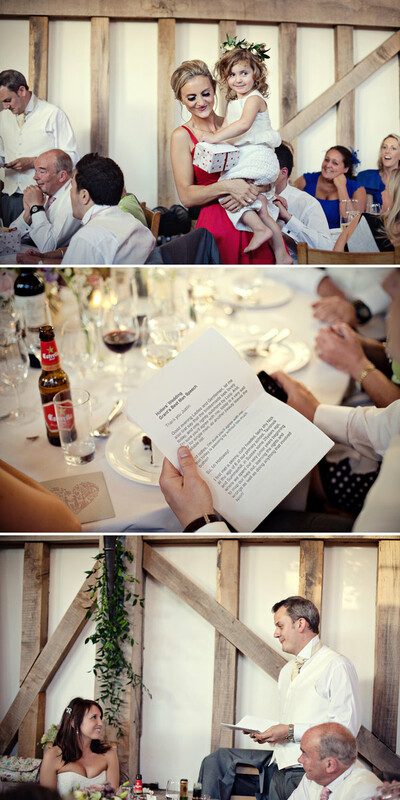 Not to mention the sun dappled portraits and the fact that everyone is clearly having a thoroughly smashing time…. Smashing, hmmm I like it. A lot. My pink suede heels were from Kurt Geiger and I found them in the sale! My hair was by Helen Simms in Guildford and my Make-up was by an old school friend and very talented Amanda Harrington at In Parlour. We bought the bridesmaids dresses from Boden, and hired the Groomsmen outfits. 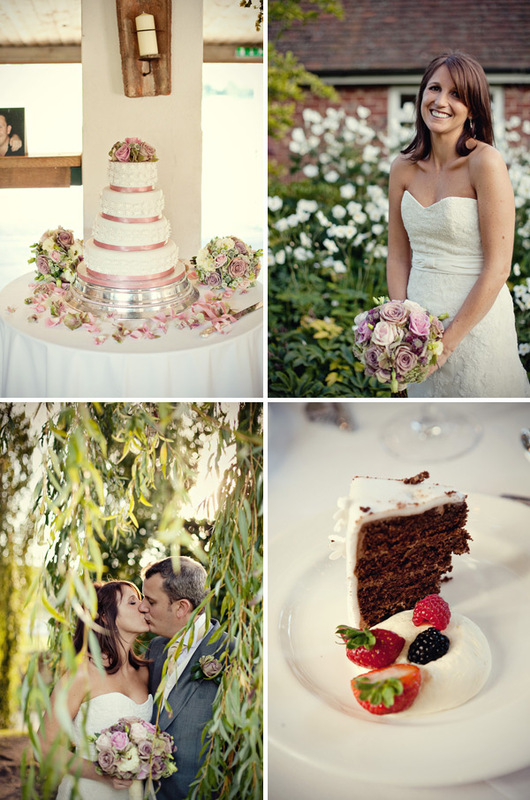 The colours tied in with muted pink of the hydrangeas and roses. My dress was “Fairy” by Enzoani from Surrey Brides in Weybridge. It was the first one that felt special but still comfortable, and I didn’t want to take it off! My handsome groom looked very dapper with a big smile! All my nerves completely disappeared when I saw him! The flowers were by Carolyn Lewis at Florartistics. She was so amazing and I completely trusted her judgement. 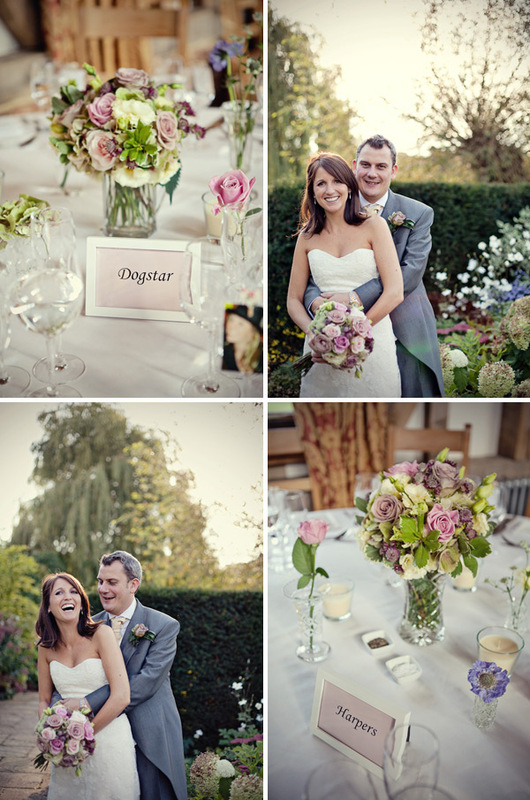 The main flowers were hydrangeas, pale pink roses, cream lisianthus and scabious apparently! They were so beautiful I couldn’t actually believe they were for my wedding!! Nick and I also bought vintage crystal vases from various carboot sales and charity shops for the table arrangements. I literally couldn’t think of having anyone else other than Marianne Taylor as our photographer once I’d found her! She was even better than I hoped! Marianne completely captured so many special moments, she was so unassuming and talented, and I honestly can’t recommend her enough. For the service, we asked a friend of the family to sing ‘All Of Me’ during signing of the register, which my dad wrote about my mum so really meant a lot. At the venue my sister organised old photos of me and Nick growing up and when together, I didn’t see them beforehand and some were pretty embarrassing! Also I did fun photos of people from their facebook profiles instead of names for the seating plan. We had the brilliant Rock n Roll band ‘Wild’. Played all the best 50’s music – everything from Go Johnny Go to Great Balls Of Fire which got everyone dancing. Followed by my own iPod playlist… no pressure! My friend Frances Edworthy made our cake for us as her wedding present! It was chocolate cake served with berries and crème, yum! Inspired a little by Kate Moss’ cake! Any advise I’d say would be to say to just trust your instincts, and try and represent yourselves! Also spread it out as had nooo idea how much there was to do, especially if you’re trying to do really hands on things like make the invitations and wedding favours! Although I think that we could have taken shortcuts it was actually all the little details that made it a bit different and worth the extra effort… Lastly make sure its a fun day that everyone will enjoy! You know what I love about pink? there are so many ways you can use it for W-day. And if anyone fancies a slice of cake for breakfast this morning then do it – I am. 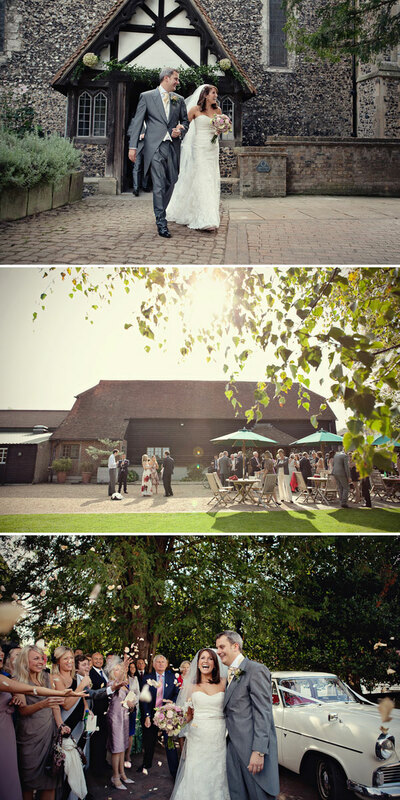 Oh Marianne, and your simple elegant fantabulously shot weddings, we salute you. I’m a big fan of Marianne’s work because it really captures ‘moments’ rather than ‘things’. ALSO….I freaking LOVE Boden-I must have missed those dresses! For anyone loving the CD stamp-it’s from an etsy supplier in Brighton and I almost bought it on Saturday! Isn’t it perfectly Rob Ryan-esque? We’re planning on using it for our CD’s too. What a beautiful bride…I wish I was a natural beauty like that…check out how perfecto all the teeth are on the shot of the bride with the two maids! Really, really, really LOVE that cake, but then I love anything inspired by Mossy…which causes an awful lot of anguish for my mother who DOES NOT LIKE HER AT ALL…”Yes, her wedding did indeed look lovely, Pamela, but underneath all that vintage fluff and flourish it’s just all very unsavoury isn’t it…” Not judgmental at all there mother dearest! God knows what my mother imagines happens at a Kate Moss wedding reception! And finally, the lady in the red dress with the amazing eyelashes…crikey, she’s just a little bit foxy isn’t she!! She really reminds me of someone famous but I cannot think who! Beautiful bridesmaid dresses and love love love the flowers!! Those BM drrsses are so pretty and that cake looks delicious…always love a bride who colour co-ordinates her whellies with the wedding!! 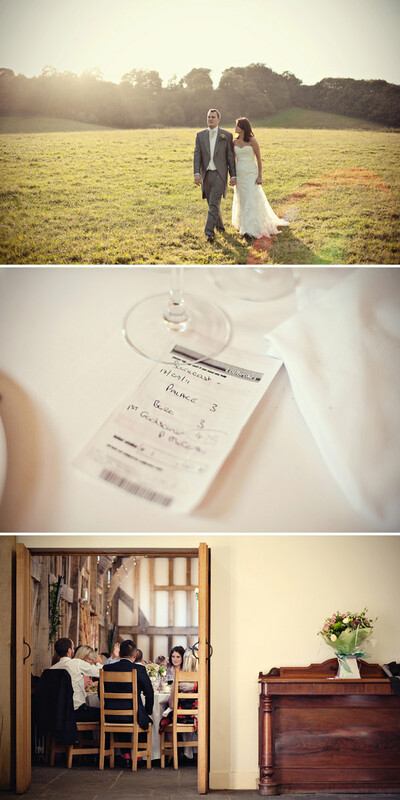 Gorgeous colours and a beautiful wedding party. Me likes! Am absolutely loving the favour for the boys too. I’d so be stealing that idea if I was getting married again! @Pamela – I love Mossy but my Mum isn’t a fan, she used to think Liz Hurley was super until she saw her in real life in Harrods and announced that “she was in desperate need of a deep conditioning treatment” -I think she was disappointed that Madam Hurley wasn’t quite a coiffed as she is in the magazines! Glad everyone is loving the colours – I couldn’t quite describe the many shades of pink but it’s so pretty. So, so pretty. I love that Marianne’s tones. WOW… I don’t have much to say about this because it has all been said above, and it is so so stunning and perfect, I’m practically speechless! @Rebecca I LOVE that stamp too. Do you have the name of the etsy seller? I was going to try to make my own papercutting invites but it may be beyond my capabilities! so this would be the next best thing! P.s. this is the first time I’ve commented on this site but I’ve been a long time lover for YEARS! Always coming on to check out the pretty despite not being engaged but finally the question got popped a couple of months ago hurrah! 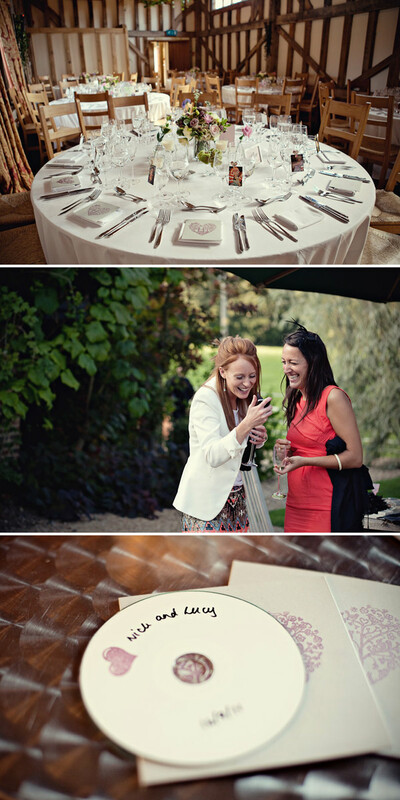 Such a lovely wedding Marianne! @ Kirst – Yes, thats her! It’s only £20 or so. Its SO Rob Ryan who I love but could never afford. I’ve had one of his papercut prints on my Birthday list for about 5 years. Just think how much I could have made if I bought it when he first started. Pish to The Boy for stopping me (we had a deal – I’d not buy Rob Ryan he wouldn’t buy gold – we are both IDIOTS for listening to the other). 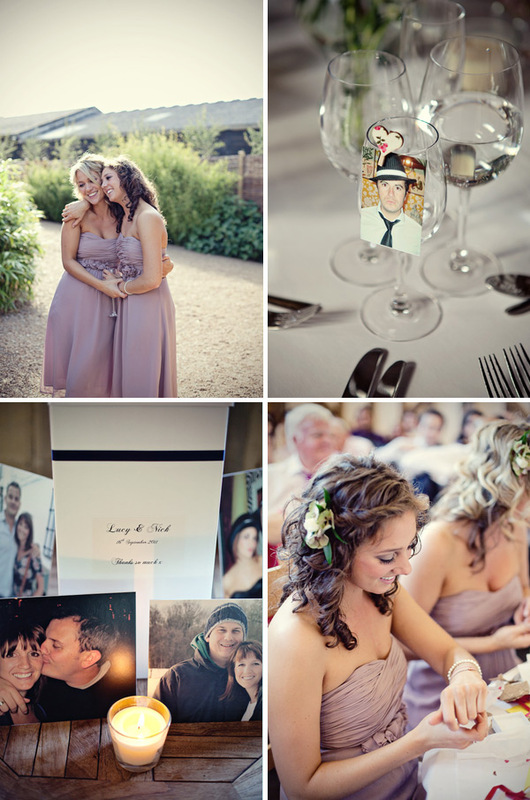 Beautiful wedding, and stunning photography! Oh my goodness!! Gorgeous!!! I LOVE the dusky pink theme running through. I’ve been looking everywhere for some pink shoes like Lucy’s but I haven’t had any luck yet 🙁 Any suggestions anyone?! 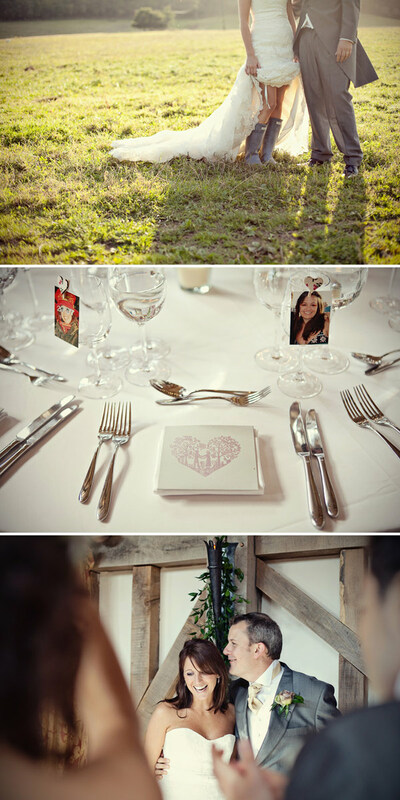 I adore the lace dress, the bridesmaids dresses and I love the little photos as place settings. PS. Nice to see the Hunters wellies too…i’ve bought a purple pair for my wedding…it’s got to be done at a country wedding! Love love love all those colours – such pretty flowers and I love the floral hair pieces! Liking the diy stationary / cd covers / photo place name A LOT! 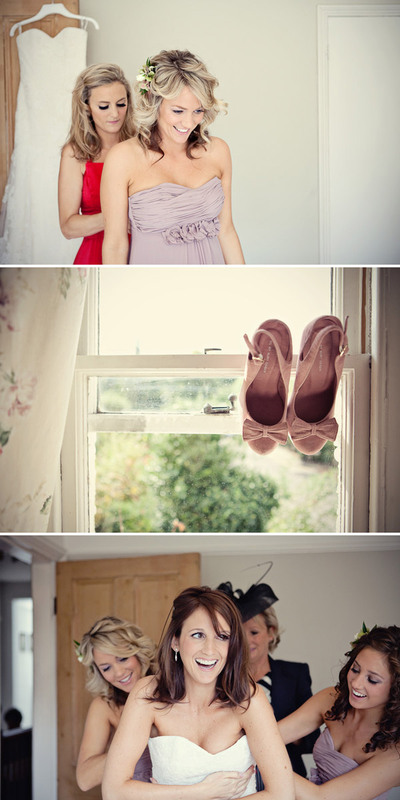 I love the bridesmaids dresses. 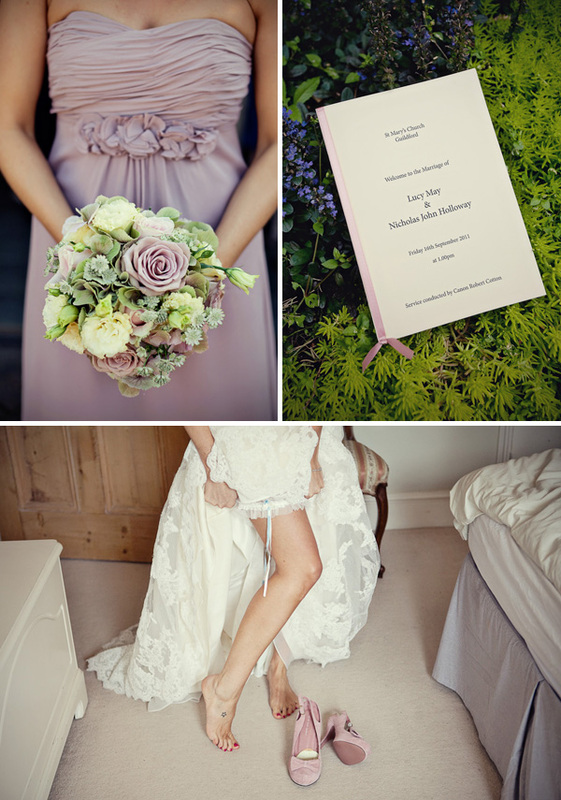 I’d also love to know where the shoes are from, as I have a very similar coloured dress from Monsoon that my sister will be wearing for my Spring wedding and cannot find any shoes that go with it. What a beautiful looking Wedding! Was a pleasure to play at you lovely wedding.